As people pass the age of 40 or 50 they may begin to experience joint pain that often gets worse over time. Osteoarthritis that occurs with aging can lead to chronic pain in the joints and problems with mobility. Individuals with osteoarthritis pain may gradually reduce their activities, which makes mobility problems worse. Kilian Chiropractic offers a variety of techniques for osteoarthritis problems, to reduce joint pain and improve overall movement. Osteoarthritis is a degenerative condition that is the result of normal wear and tear on joints during movement. The cartilage that protects the ends of the bones wears away, and tissues around the joints become inflamed and painful. Arthritis symptoms of stiffness and discomfort can eventually impact normal movement. Osteoarthritis usually affects the joints of the knees, hips, hands, and spine. A variety of conventional medical treatments are available, but these often in include the use of strong medications, injections or surgery. Osteoarthritis often begins with a mild aching in the joints during vigorous movement. Individuals may wake up in the morning with joint stiffness that gradually goes away as they engage in their normal movements. Because it is a progressive disease, the aching in the joints generally becomes chronic, and the individual may find they have to sit down frequently during long walks or other activities or stop using their hands. Morning stiffness may last longer or may disrupt activities during the day. The individual may notice a loss of flexibility in the joints. Soreness in the joints, swelling and tenderness can become significant. As arthritis worsens, you may experience grating sound in the joints, from the loss of cartilage that cushions the bones. You may have bone spurs that form around affected joints. Pain can increase, and it can last throughout the day and night. What causes arthritis? Scientists believe normal wear and tear, genetics, obesity, and age all play a part in developing osteoarthritis symptoms. Chiropractic techniques can offer another option for arthritis treatment. 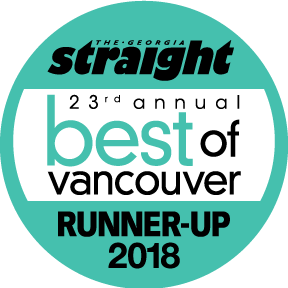 Your Vancouver chiropractor can offer spinal adjustment to re-align the spinal column and relieve pressure on discs, joints, muscles, and nerves. Strengthening exercises improve the function of supporting muscles and improve mobility. The doctor can also provide nutritional counseling to improve your general condition and ergonomic advice to prevent injury and enhance physical function. Dr. Trevor Kilian and his caring staff ensure their patients in Downtown Vancouver and all of the lower mainland benefit from a holistic approach that considers the whole person in their management of health issues. We offer an individualized treatment plan for your unique needs. Call Kilian Chiropractic today at 604-688-0724 for an appointment to learn more about chiropractic techniques that can treat arthritis pain.